Jim Archey and Dee Lancaster, thank you for making my daughter Amy’s auto purchase easy. You guys and gals rock! My mother just bought a car from them, Dee Lancaster helped her when all the other lots needed co signer and turned her down. 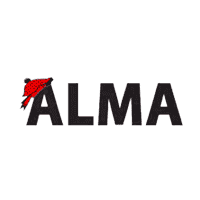 I would recommend Alma CDJR to anyone looking for a nice vehicle they are awesome people. This was by far the easiest experience we have ever had purchasing a car. Matt was a great salesman, Dee was the greatest finance manager ever! I even appreciate the small favor that was done for us. Top notch business!!! The salesman Tyson taught me all about my new Jeep including The Wave. The finance manager Dee was amazing!!! She was incredibly organized, respectful, explained all the paperwork and made it so easy. Same day service, in and out! Home town proud. Its worth the drive to this dealership if you are not from here. They will sell me my next one too!!! We got excellent service here today. Don't let the fire scare you away. They here, ready to help! The experience in sales and finance, these people know what there doing. They made it so easy, and got us the beat deal ever. This os my 2nd vehicle I jave bought here and will ne back. Thank You Jim Archey, and Dee Lancaster. Talk to Tom Hale !! He will work a deal for ya!